How to Buy the Best Tennis Racket for You! How to Buy a Tennis Racket? Buying a tennis racket involves more than just choosing the first product you see. The best way to purchase a tennis racket is to consider your unique needs. Some tennis rackets are designed specifically with beginners in mind. These tennis rackets tend to have larger heads, which makes it easier to hit the ball. Other tennis rackets have smaller heads and are more ideally suited for intermediate to advanced players. In addition to the size of the tennis racket, there are a number of other factors to consider. Some rackets come with unique features, such as a warranty or specific colors that are appealing to some consumers. In addition, rackets are made out of different materials and you may want to test a few out to see which material you prefer. It is common for most beginning players to choose a racket made from graphite. What Features Should I Consider When Purchasing a Tennis Racket? The weight of the tennis racket is one thing that you will want to contemplate when purchasing a tennis racket. 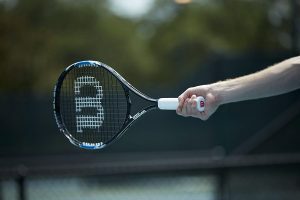 It can be hard to imagine how much the racket will weigh and what it will feel like in your hands simply by looking at the specifications online. As such, you may wish to visit a local sporting store to test out tennis rackets of different weights. In general, rackets for novice players tend to weigh more in order to increase stability. Professional tennis rackets tend to be smaller, lighter, and therefore, they weigh less. As previously mentioned, you want want to decide whether you want a large of small head on your tennis racket. A larger head size is recommended when you are first learning the game because you gain additional power when hitting the ball. However, professional players prefer a smaller head because you gain more control using this size. The length of the tennis racket is something else you will want to decide upon prior to purchasing your new tennis racket. Most tennis rackets for beginners are 27 inches in length. However, larger sizes (up to 29 inches) are also available. The longer the racket, the more power you will have. However, new players sometimes find it difficult to swing and control longer rackets. Some players also look for unique features. This may include a preferred brand, a certain color, or a guarantee of performance. In addition, cost is another consideration for most users. Tennis rackets vary widely in price, although in general, less expensive rackets are available for beginning users. A final consideration you will need to think about is whether you wish to purchase a tennis racket that is already strung or whether you wish to purchase an unstrung tennis racket. If you choose an unstrung racket, you will either need to string the racket yourself (which can be complicated) or find a professional stringer. While there are tutorials available on how to string your own racket. Most tennis rackets for novice players tend to come pre-strung. Some professional tennis players prefer to string their own rackets. Ultimately, the choice is yours! What Are Some of the Best Tennis Rackets on the Market? One of the most popular brands of the market is Wilson. The Wilson Tour Slam Adult Strung Tennis Racket, the Wilson Federer Adult Strung Tennis Racket, and the Wilson Pro Staff 97 Tennis Racquet are all highly rated tennis rackets. Other popular tennis racket brands are Head and Babolat. When thinking about how to buy a tennis racket, there are many factors you want to consider. 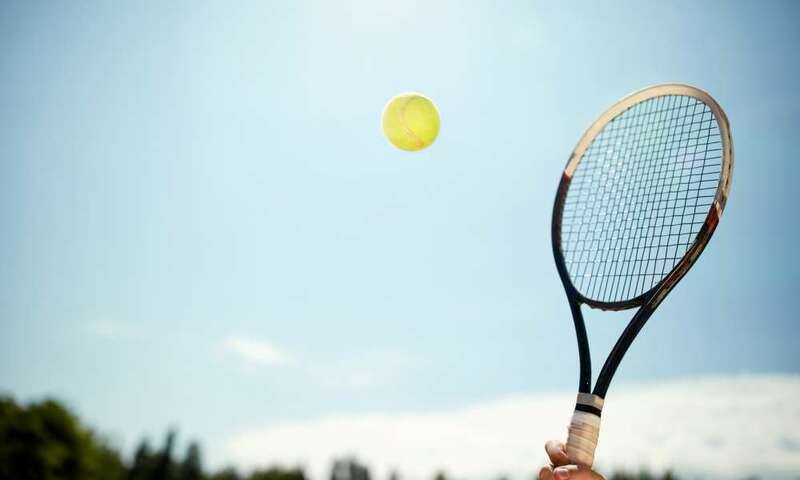 The size of the tennis racket head as well as the length of the tennis racket are two primary considerations that need to be decided upon first. In addition, the weight of the tennis racket and the cost are additional important considerations. Lastly, you will want to decide whether you wish to buy a racket that is pre-strung or not. If you opt for an unstrung racket, keep in mind that there will be an additional cost to get it professionally strung unless you plan to so this step yourself, which may be burdensome for those without experience.